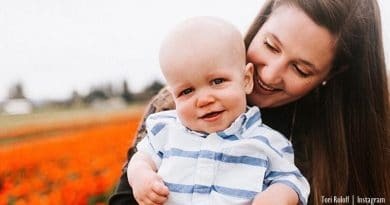 Little People, Big World fans saw Tori Roloff‘s photo of the nursery posted up on her Instagram on Monday night. Almost immediately, fans thought she may be hinting at being pregnant again. 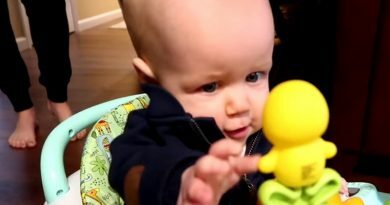 It’s not the first time fans saw a picture and hoped it meant a sibling for Baby Jackson. This time, the question came up again as Tori posted a photo of some new shelves on the wall and some new signage. Some people worried about the shelves, while others wondered about a new baby on the way. 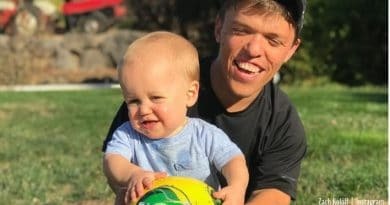 Tori Roloff’s son Jackson, fast became a fan-favorite of the reality TV show. He’s 15-months old now, walking, babbling baby talk, and he’s generally the cutest little fellow on the farm. Tori’s new dog Murphy quickly became Baby J’s companion but fans think it’s time he became an older brother. Therefore, every photo gets scrutinized closely for any signs that a baby may be on the way for Zach and Tori. This time, Tori Roloff put up a picture of the changing table. Straight away, some Little People, Big World followers became concerned about the placement of the shelving as it’s right above the table. In her own words, Tori admitted they were very heavy and she struggled to put them up. Several people told Tori Roloff to move it away. They felt it would give balance to the room, and prevent an accident. One user noted that Jackson might stand up and bump his head. Another told a frightening story of how they had shelving up like that and it fell down just after they lifted their baby up. @k.link posted, “I had a heavy shelf over my son’s changing table and it fell right after I picked him up. I replaced it with pictures.” A few others asked why Zach didn’t hang the heavy shelves as he’s handy around the house. The photo shows the nursery, and the questions started coming in about the possibility that another baby’s on the way. Tori’s caption didn’t say anything about being pregnant. She just wrote about the shelves, but she did say “baby j can I move into your room?” Perhaps Tori Roloff’s mention of moving into Baby J’s room was a hint to LP, BW followers? But it seems the nursery area signage prompted the questions. Does the word ‘Adventure,’ and the & symbol mean something? What do you think about Tori Roloff’s heavy shelves above the changing table? Do you think she just hinted that she’s pregnant again? Stay in touch with news about Little People, Big World by checking in with Soap Dirt often.